This weekend I attempted to start a cell phone contract after hearing from another American that he got one without any trouble. Pay-as-you-go phones don’t require any authorization, but I’d have to pay full price (£220+) for the phone I wanted. After making 3 trips, then working over the web, and calling the help line, I was finally able on my 4th trip to the T-Mobile store to walk away with a new phone and a contract. The trouble spawns from having no credit history in the UK. (I’m not sure how my friend fell through the cracks and got not hassles since he has less ID than me!) Anyhow, I’m now the proud owner of a T-Mobile MDA Vario. I played around with it most of the day and, of course, got nothing productive done! Besides not having a cell phone, I am beginning to get tired of lugging around a laptop everywhere. It would be much more easy to carry a PDA (with Pocket Word) and a Bluetooth keyboard. Plus I hope to use it for German flashcards as I did for GRE and Greek words with Southpaw’s Palm version. Update (July 2007): The phone’s been doing great. I’d definitely get it again. I even accidentally briefly soaked it in some water. I let it dry out over night and no problems. I would say the only drawbacks are the weight–not to bad but more than I want sometimes–and dialing numbers–which I don’t do that often b/c I usually just use my contacts. Dialing isn’t hard but it’s just a little awkward on the touch screen. Hast du die Uhren umgestellt? — Did you change the clocks? In Adolf Deissmann’s Paul: A Study in Social and Religious History (2nd ed. 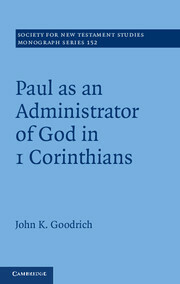 ), he gives a general summary of Paul’s religion and ministry. His main thesis is that Paul experienced a Christ-intimacy or Christ-mysticism that drove his ministry. As such he was not a great theologian that presented a systematized thought, but a man with a deep religious experience that drove everything. 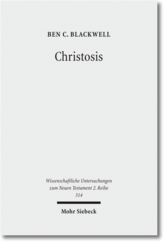 Deissmann begins with the argument that Paul is primarily a religious person, that he is more interested in Christ than christology, based on the nature of his letters. He did not intend on them to be published widely as a formal “epistle” (e.g., James), but he wrote them as personal “letters”, dictated to personal recipients. Although, Romans approaches the “epistle” type of writing, and since many consider it to be the key letter of Paul, they throw all his other letters under that rubric. 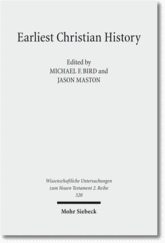 Regarding the specific letters Deissmann has only a few questions about the pastorals and none about the others, and he quotes all 13 without comment throughout the book. Deissmann took several trips throughout the Mediterranean area and this is clearly reflected in his book. He describes the landscape and geography quite often in order to help the reader understand Paul’s setting. Paul himself was somewhere between the lower (as a tent maker) and middle classes (as a Roman citizen). The nature of his ministry, focusing on the major towns of the Aegean, shows him to be cosmopolitan in nature and a good speaker. Although, he existed in relative obscurity to those outside the church, much in contrast to Philo, for instance. As a Jew, Paul was raised in the Synagogue reading the Septuagint. Deissmann brings the Law issue back to Paul’s childhood, trying to draw the picture of Paul being harassed by the Law from then, which highly influenced his becoming a Pharisee to master it. That seemed like a bit of over-speculation. Though, he points out that Paul clearly held to his Jewish worldview after conversion–e.g., he still marked time by the Jewish feasts, held an us/them attitude towards Gentiles, and highly relied on the Septuagint. Deissmann goes on to speak of the nature of religious experience and to respond to the critics of the first edition of this work. Namely, he has a very broad view of the concept of “cult”, basically any religious experience or dependence on diety, versus “cultus”, which is organized worship. He applies the term Christ-cult to Paul, but the rest of the thesis doesn’t hang on that one definition. A summary of Paul’s religion is this: Christ in Paul, Paul in Christ. He is a christological thinker, but above all a Christ-bearer, or one who’s life is driven by the Christ-experience. Paul views Christ in the traditional Jewish perspective of the transcendent and exalted Son of God who is coming in judgment. But even more central to Paul’s faith is the Hellenistic-mystical view of Christ, the immanent and living, spiritual Christ who is Pneuma. The means to communion with God through Christ is not the sacraments, which don’t cause the communion but are outward expressions of it. The core explanation of Paul’s motivation comes in chapter 6 when Deissmann discusses the nature of Paul’s mysticism. He makes a couple of quick affirmations that the mysticism is primarily Hellenistic in its origin through the Septuagint, but he also footnotes work of Reizenstein on the mystery religions as well. However, this is not a Neo-platonic deification mysticism–oneness with the deity, as this is too narrow. He holds a more general definition of the term: it is “every religious tendency that discovers the way to God direct through inner experience without the mediation of reasoning. This constitutive element in mysticism is immediacy of contact with the deity” (149). He gives two ways to anlyze mysticism with two poles for each: 1) who takes the inititive and 2) what is the aim. In regards to initiative, one can be active or reactive. The active is characterized as anabatic, performance driven, or man to God; while the reactive is characterized as catabatic, grace driven, or God to man. While Paul’s religion was reactive (which Deissmann repeatedly relates to the Damascus experience), later Christianity has become active. The other pole of mysticism is the aim or intent of unio or communio. Unio is characterized by oneness with God, loss of human personality, transformation into the deity, participation in the deity, ego-centric, aesthetic intoxication, and denying personality. On the other hand, communio is characterized by fellowship with God, sanctification of human personality through the presence of God, conformation of the human towards the divine, prostration before the deity, Theo-centric, ethical enthusiasm, and affirming personality. With such loaded terminology, it was clear that Deissmann saw Paul as a communiomystic. 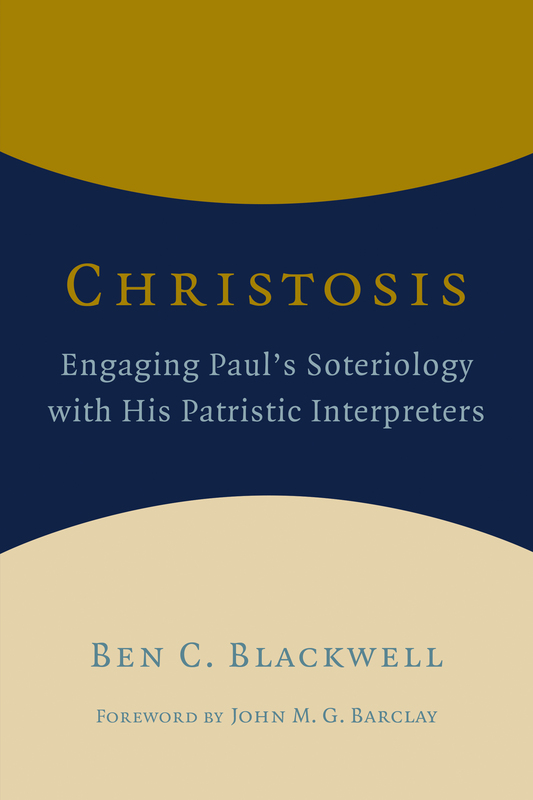 As a reacting and communio-mystic, Paul viewed Christ-intimacy as experience and confirmation of God-intimacy. One was not deified, but “transformed by God, he became spiritual and he was one whom Christ possessed and a Christ-bearer” (153). Deissmann was an accomplished paprolygist and grammarian, so much of his argumentation comes from his analysis of Paul’s letters linguistically. He particularly focuses on the “in Christ” statements in Paul, but he also focuses on statements like the “faith of Christ”, which he termed a ‘mystical genitive’ or ‘genitive of fellowship’. In a related vein, he describes five major metaphors of salvation in Paul: justification, reconciliation, forgiveness, redemption, and adoption. These all are relational statements about man standing before God (interestingly, all in legal terminology) as an accused person, an enemy, a debtor, a slave, and as a slave/orphan. In all these the Living Christ is the means to rectifying our problem. Deissmann does spend a little time on Paul’s theology (proper) and his christology as such, but with much qualification. For his theology of God, he says that Paul and Jesus have the same view of the majestic Lord over heaven and earth who demands are infinite but who also is a loving Father showing mercy on sinners. As to Christ, he presents him as the Crucified and Living One. Interestingly, Deissmann doesn’t use the term “resurrection” much, but focuses on the “living” nature of Christ. To conclude his work he speaks of how ethics based on the “love of Christ” and eschatological hope “the hope of Christ” also play a part in Paul’s thought. He says eschatology is not just an appendage to Paul’s thought, but with its scant attention in Deissmann’s work, you wouldn’t interpret it otherwise. Deissmann with his very strong emphasis on Paul’s religious experience, does give a valid critique against those who stalely divide up his christology without truly understanding what is driving his categories. However, I was left wanting more of a structure to his thought on Paul. In a way Deissmann used the mystical trump card that we can’t systematize this because Paul didn’t. Ultimately, Deissmann hit on the major areas of Paul’s thought, but I was still a little unsure how the Christ mysticism drove all those points. Also, regarding the mysticism analysis, I think he offered some good categories for analyzing things. However, I wish he would have spent more time providing exegetical proof for his choice of communio-mysticism for Paul. Although, he provides clear statements about what they mean, he doesn’t provide much evidence for his conclusions. Even though I agree with his general argument that Paul was a Christ-mystic, I think Deissmann was weak in presenting the details at certain (key) points. He footnoted lots of works, but this doesn’t carry an argument. In some places he seems simplistic (e.g., the authorship of Paul’s letters. I’m pro Paul actually writing them, but Deissmann seems to flippantly pronounce that there aren’t really that difficult of issues to deal with. ), and I think this is reflected in several areas where he sometimes over generalizes conclusions. 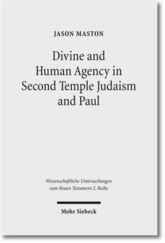 Deissmann’s work is helpful in that it does address a core issue with Paul. He also provides a helpful appendix that provides some diagrams which help the reader to conceptualize some of his thoughts around Paul’s mysticism. Gemeinsam sind wir stark. — Together we are strong. In Plato’s The Symposium, Socrates and a handful of others after attending a dinner party decide to give a panegyric to Love (that is, to give speeches on the excellence of the god of Love). Several of the examples in this dialogue relate to homosexual-type love, men and young boys; however, the ultimate stated goal is not to seek these relationships for physical desires but to ascend beyond these desires to reach the highest goal of understanding ultimate beauty and goodness. Phaedrus begins and notes that Love is one of the the oldest gods, and if all were moved by his power, society would be great because the lover always takes care of the beloved. Pausanias then makes a distinction between two Loves that are joined with the two Aphrodites (Heavenly A. and Common A.). The common Love cares only for meeting bodily desires, while the Heavenly Love searches for the excellence of the soul. So relationships with boys are okay if they are for the mutual attainment of excellence and not just from physical desire or greed. Next, Eryximachus, a doctor, speaks of love being the source of harmony in life, whether in a healthy body (balance of the elements–hot-cold, wet-dry, etc.) or music (balance of the notes) or other. Aristophanes then gives the background of why people are attracted to one another. At the creation of humanity there were 3 types of people–males, females and hermaphrodites. They were circular in form with double the amount of appendages of current humans, having 4 legs, 4 arms, 2 heads, etc. These beings made the gods angry so Zeus decided to split them in half, with the belly button being where the extra skin was sown together. The males were made two males, the females, two females, and the hermaphrodites a male and female. As such they longed to be joined together again. The male-males became homosexuals, the female-females became lesbians, and the hermaphrodites became heterosexual. There is a comment regarding attraction to young boys that seems to make the male-males at the top of those three groups. Those who form life-long partnerships are those that have found their other half, and they desire nothing but to become again and remain one flesh in this life and in the next. Agathon, a poet and the host of the party, speaks next about the nature of Love then his gifts. Rather than being ancient, Love is of the youngest gods because he rests so easily on the young flees before old age. Agathon goes on to explain Love’s sensitivity, suppleness, goodness, self-control, courage, and beauty. He is the source of all kinship and relationship. Socrates chides the others for attributing everything good to love whether it applies or not. He then takes Agathon through a quick dialogue to develop these points: Love exists only in relation to some object (e.g., “Father” to child) and that the object must be something of which he is a present lacking. He then applies it against Agathon who said Love loves beauty and goodness. For if Love loves something then he lacks it, so Love lacks beauty and goodness. This being so Love cannot be a god because all gods possess these traits. Accordingly, love is a spirit half-god and half-man, who serves as an intermediary between gods and men. He was begotten as the son of Poverty and Contrivance on Aphrodite’s birthday. From Poverty he is lacking, but from Contrivance he is always seeking. One must not confuse Love with Love’s object. The only object of men’s love is what is good (because they do not truly desire what is harmful to themselves). Accordingly, love is the desire for perpetual (therefore, immortal) possession of the good. The function of this love is procreation in what is beautiful, whether physical or spiritual. When procreating one touches on divine beauty and is endowed with a touch of immortality. (E.g., animals protect their procreation because the young are their piece of immortality.) Immortal spiritual children are the work of the wise (e.g., Homer’s poetry). Alcibiades comes late to the party, already drunk, and will not speak about love but only about Socrates, but really he is explaining his desire for Socrates. He tells of how Socrates’ orations enrapture him and of Socrates’ high character. He then tells of how he tried to engage Socrates in (what seems to me) a homosexual relationship, but was rebuffed at each step by Socrates. [It seems that this desire is a foil for the true enlightened relationship that Socrates sees as proper.] He also notes several of Socrates’ exploits in battles. Since this is partially in narrative form it is a little hard to know what Plato wants us to do with the speeches before Socrates, but after talking to a friend here that’s been working through these texts, he commented that we should use the advice of Socrates to understand the ones before him. That is, consider the lower, incomplete forms of love, beauty, and goodness and use those as stepping stones for higher understanding. So the earlier discussions give us ideas about the nature of love and relationships although they are not wholly complete or accurate. I’m exactly sure what to do with the spheroid people who are divided up, but it is an interesting insight into sexual preference. Ultimately, the goal my professor had in having us read this was to capture Plato’s concern with how people are to ascend above this world to the absolute. It is through consideration of those things that have the absolute within them and to ascend your thoughts ever higher to the untainted vision of beauty. I can see how later theologians took to this model of understanding. I believe it is quite common in the Greek tradition. Ich bin das gewöhnt. — I’m used to that.